Quilt Patterns! New! I wrote them! You guys! I wrote some quilt patterns. Two, to be exact. The first is a pattern I have been working on (dilly dallying, rather) for about 2 years. I'm calling it Fractured Tiles because it looks to me like broken floor tiles. 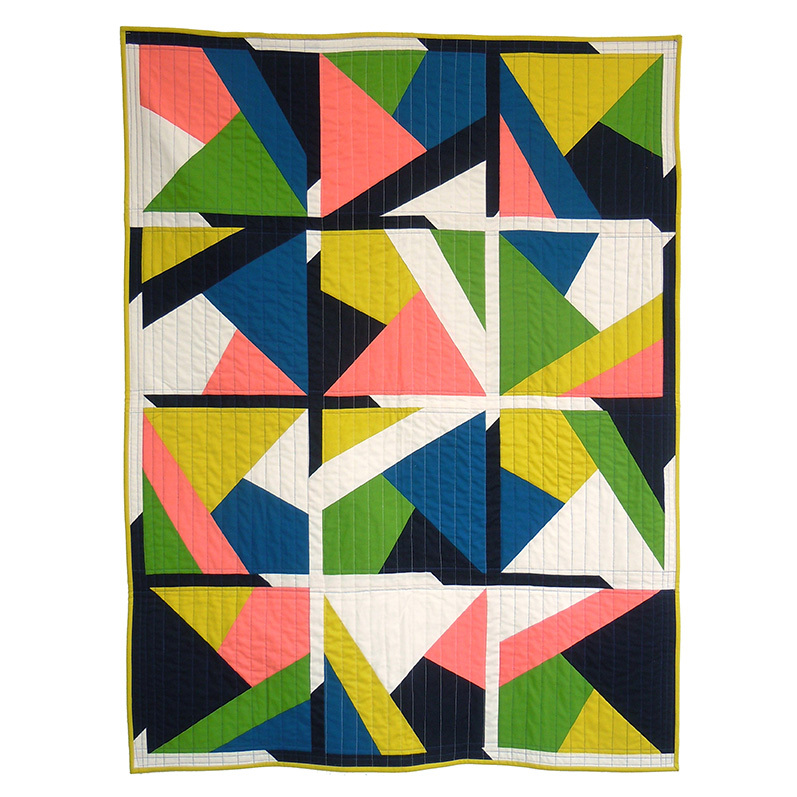 It's a super fun quilt to make because it's really quick to cut and piece, but there is so much potential for variation depending on what colors you choose and how you lay it out. And, I should mention, it's suitable for beginners because it's a stack and whack quilt. The second is called Robie and is inspired by Frank Lloyd Wright's Robie house in Chicago. It's made using 2 1/2" strips so is perfect for your favorite jelly roll of fabric. 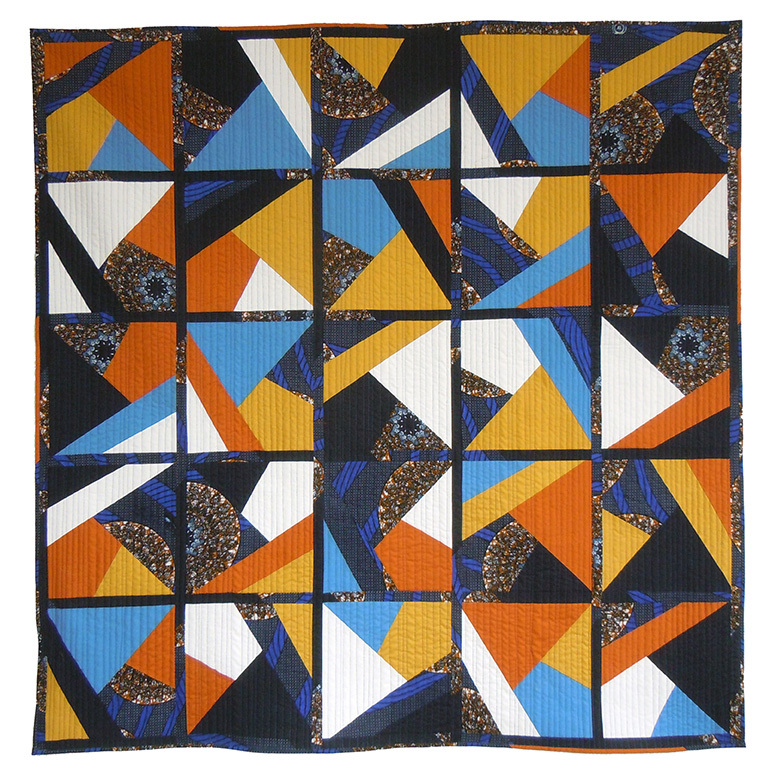 This quilt can be made in 6 different variations and they are all equally cool. I'm so excited to finally have two quilt patterns finished. You have no idea. I have been wanting to write patterns ever since my book came out (Modern Color: An Illustrated Guide to Dyeing Fabric for Modern Quilts, if you didn't know). They have been so much fun to work on, but also so so much work. I made wrote all the instructions, made all the illustrations, made all the test quilts, and designed the patterns themselves. The patterns have been tested and tech edited, so I'm pretty confident they will be easy to follow and won't have any errors (Thanks Kristin, Lexie, and Annabelle!). The patterns are available only as PDF downloads for right now. They may go into print in the upcoming months. You can purchase them here on my website or over on Craftsy. Enjoy! And be sure to tag me on instagram (@kimemquilts) if you make one!